This morning, Special Counsel Robert Mueller made a major move against Donald Trump by having cooperating witness Michael Cohen plead guilty to having lied about the timeframe for the ill-fated Trump Tower Moscow project during the 2016 election. Even as this plays out, another major scandal has come to a head with Deutsche Bank – and while it’s not yet clear what’s happening, it would be one heck of a coincidence if the two aren’t related. 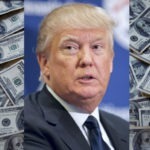 First, Deutsche Bank has routinely loaned major sums of money to Donald Trump over the years, even after he became such a poor credit risk that other banks wouldn’t touch him, and even after Deutsche ran into financial troubles of its own. Second, Deutsche Bank was busted by U.S. and UK authorities in early 2017 for having laundered massive sums of money from Russia into the hands of people in places like New York City. It’s never been proven, but it’s long been widely suspected that these two stories are the same, and that Deutsche Bank was using these “loans” to launder Russian money to Trump in New York. So is today’s raid of Deutsche Bank on money laundering charges a part of Robert Mueller’s takedown of Donald Trump? We don’t know yet. However, Michael Cohen is in position to have told Mueller all about Trump’s Russian financial ties. It’s also worth noting that incoming House Intel Committee Chair Adam Schiff made a point of telling reporters this morning that Trump’s Russian money laundering needs to be investigated. Does he know something about this Deutsche raid that we don’t? Stay tuned.